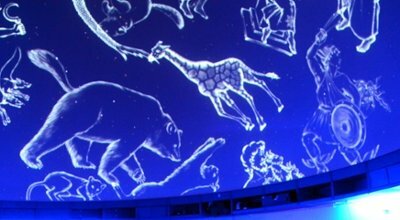 The Fredric and Jean Edelman Planetarium provides instructional and entertaining programs that educate the members of the Rowan community, the K-12 students of the region and the general public. We serve as a public resource for astronomical information and involve elements of other natural sciences, education, communications and the fine and performing arts in our shows. The planetarium provides a classroom for multimedia learning, an outlet for creative expression and a versatile domed theater. Check out our complete calendar here. To donate to the planetarium, click here. Don't know where to park? Have a question? Let us know! Check out the current films we're showing! Want to bring your class, scout troop or church group? Check out what we have to offer you.